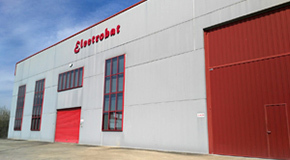 Electrobat Importaciones y Distribuciones Eléctricas, S.L. is a Spanish company with over 30 years of experience in the automotive and electrical industry. Today, thanks to pioneering equipment for Asian applications, it is widely recognize in the field of the automotive aftermarket in Spain and Europe. The continuous growth of products with the latest developments, the continued availability and superior quality of our personalized service has led to us the privileged place where we are at this time and let ´s us distinguish ourselves as indispensable reference in the market. Recreational Vehicles: Motorcycles, ATV, 4x4 quads, UTV, jet ski, golf, snowmobile and small engines. Agricultural equipment and Gardening: Tractors, Harvesters. Brand new products tested according to OE standars and verified quality by our technician team, no core. Premium products, spare parts with extra quality. In order to keep the commitment acquired by Electrobat with its customers, the number of available model products is constantly growing. For this purpose, Electrobat works day to day to provide the highest quality service to meet the ever-changing needs of customers, offering know-how and experience from our team of highly skilled professionals and our qualified technical support team.